OUR MISSION IS SIMPLE, TO PROVIDE QUALITY MOTORHOME REPAIR & MAINTENANCE SERVICE THAT YOU WON'T FIND ANYWHERE ELSE. REV’s Regional Technical Service Centers (RTCs) are complete resources for RV service and repair — and we have a unique advantage. Our factory-trained technicians are trusted service experts across all REV Recreation Group brands, including American Coach, Fleetwood RV, Holiday Rambler, Monaco Coach, Renegade RV and Midwest Automotive Designs. But our RV expertise doesn’t end there. No matter the brand, our team is capable of performing complete motorhome services. We're committed to going the extra mile with your motorhome, ensuring only the highest quality. All services are fulfilled by highly-skilled and experienced RV technicians. Our RVIA-certified and master-certified technicians, many with more than 20 years of experience and factory assembly backgrounds, staff our technical centers and our team of ASE-certified diesel chassis technicians perform chassis and generator service. See our list of services. With a central location in Indiana and a western location in Oregon, REV’s RV Service Centers provide access to a full lineup of repair and maintenance services you won’t typically find at RV dealerships. When it comes to our full-service centers, we’re prepared to handle your repairs, find the parts you need, and take care of you every step of the way. Thank you for requesting an appointment. We will be in touch shortly with availability and details. 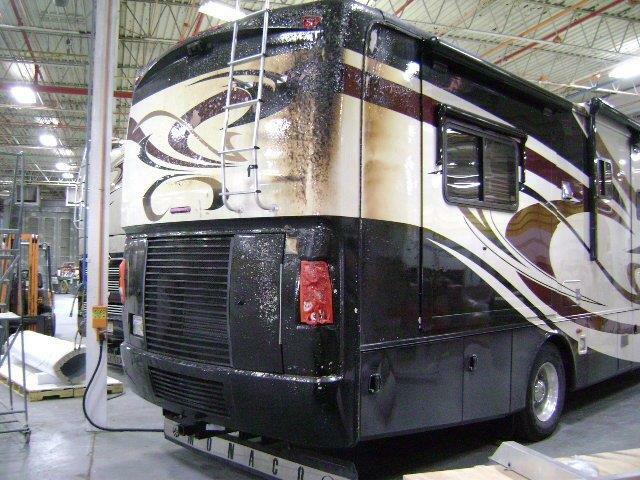 When accidents occur, our service centers will get your RV back on the road and looking like new. From complicated body work to paint repairs our team expertly handles collision damage. Refurbish your entire coach the way you want it, from floors, features, walls and more. Looking to enhance your connectivity? Our teams provide complete satellite services. Ensure your RV furnace is safe and maintains its efficiency with annual inspections and service. We provide maintenance, repairs and installs for A/C and heating systems. Our team is trained to fix and maintain all slide-out functions, from paint and aesthetic repairs to technical to electronic issues. With our state-of-the-art equipment, we’ll keep your exterior looking and working like new. Regardless of the season, we can prep your RV. It's important to ensure all systems are checked regularly and your motorhome is prepared for winter hibernation or the long summer road ahead! Need to update your water heater? We’re skilled in servicing complex plumbing and piping. 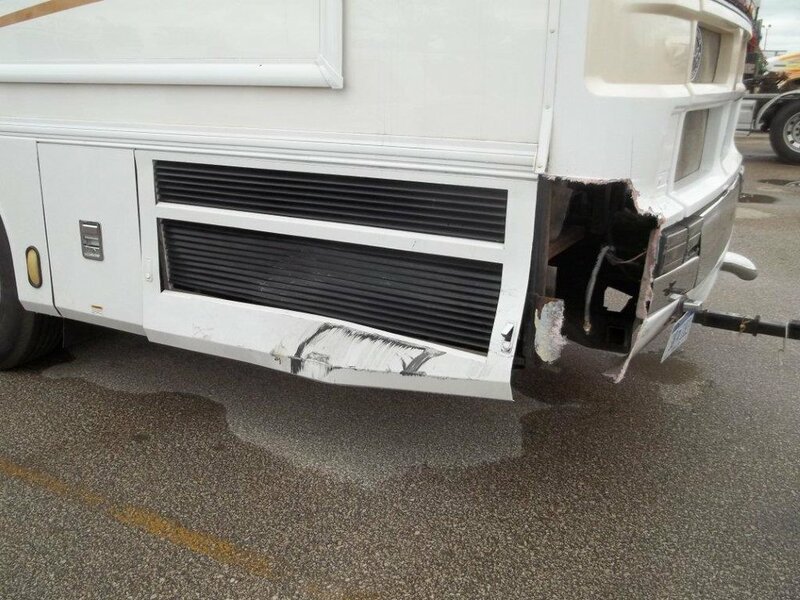 Regular maintenance is important to keep your RV in tip-top shape. This includes oil changes, tire checks, battery changes, wiper blade replacements and more. Regular oil changes are necessary to keep your generator running (every 75 hours or 12 months). Like a brand-new coach off the line, at the REV Service Centers, you RV will receive the same factory-quality parts and support. With a full paint bay, our Decatur Service Center is equipped for a variety of unique paint jobs. 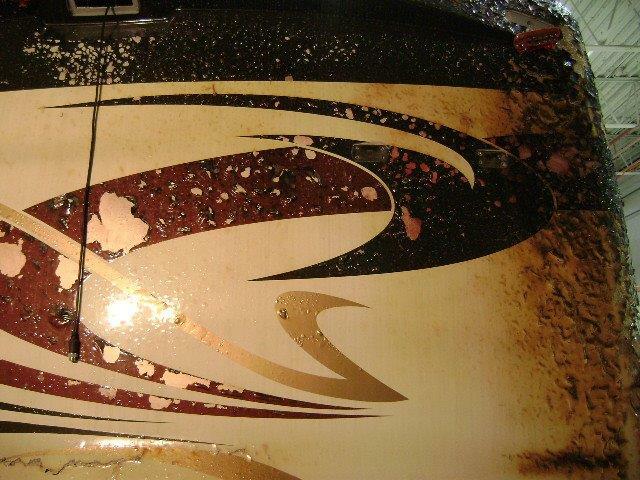 Our RV paint capabilities cover everything, from touch-ups to custom paint jobs. EXAMPLES OF OUR RV SERVICE CAPABILITIES, INCLUDING COLLISION REPAIR, MOTORHOME MAINTENANCE, REFURBISHMENT, UPGRADES & CUSTOM RV PAINT WORK. Sign up to receive news, updates and exclusive offers from REV. We respect your privacy and we don't send spam. Copyright 2017 REV Group, Inc. All Rights Reserved.